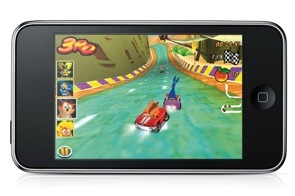 Video Game Consoles Up 26%; iPhone Killing Portable Gaming Devices? "The video games industry grew an impressive 18 percent year-over-year in the first month of the critical fourth quarter," she wrote. "With 10-months under its belt, the video games industry is still poised to top $22B in annual sales in 2008. "The sales results are mixed this month, however. The console portion of the market made significant gains at 26% across hardware, software and accessories, while the portable side of the market stalled, declining 14%. Year-to-date the portable segment of the market is still up 7%."